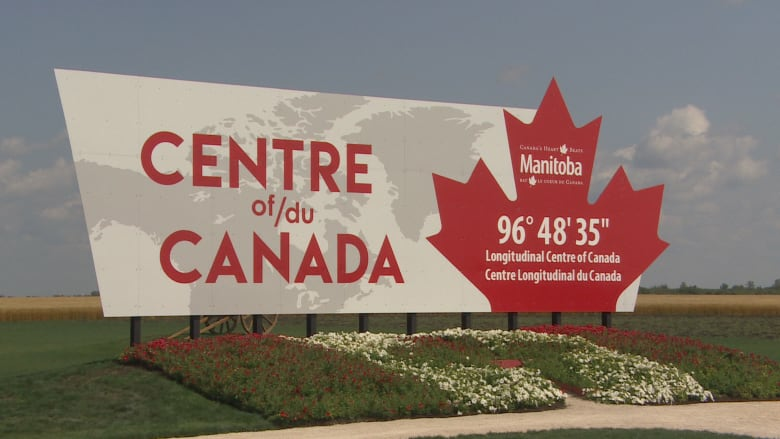 Meet in the middle: Centre of Canada park opens in RM of Taché, Man. "I think it's very important for the RM, just on the recognition side," said Robert Rivard, the mayor of Taché, of the park. "I mean, having something that people will remember about the RM, that we are at the centre of Canada and there's a park there. It'll bring people out and it'll remind them that Tache's here." Rivard said the community has been working on getting something on the site for about a decade, but work on the park itself began around two years ago. He's still hoping to see a statue or monument on the spot, and said having the park there will make it easier to make that happen. "If you tell somebody you want to build something worth four or five million dollars, people back away," he said. "But if you tell them once you've got something here that's worth a million dollars that we want to put another few hundred thousand in, it's a lot easier to get people to help out." Taché is about 40 kilometres southeast of Winnipeg.